Blood is a complex suspension with high concentration of deformable cells and polymers. The dynamics of particles and capsules suspended in liquid under shear show interesting and sometimes counterintuitive features. At negligible fluid and particle inertia, the behavior of suspension can be predicted based on particle shape, concentration and particle interaction. When inertia is not negligible, the particle motion is governed by nonlinear dynamics and no longer completely predictable. Also, when the particles in the suspension are deformable, the rheology of the suspension becomes more complex. In blood flow, the character of flow is determined primarily by highly deformable red blood cells (RBCs). The concentration of other cells, such as platelets, is a small fraction of the RBCs with insignificant effect on the flow rheology. However, the transport and radial drift of platelets and other relatively rigid cells play a significant role in the initiation of arterial diseases such as thrombosis. Addition of glycoproteins, such as von Willebrand Factor (vWF) in blood presents another level of complexity that will be discussed in relation to thrombosis. Arterial occlusive thrombosis consists of a combination of three factors - high-shear flow, a pro-thrombogenic surface (collagen), and blood components of vWF, platelets and RBCs. Interaction of platelets with RBCs result in platelet margination to the RBC-free layer at the arterial surface. The dynamic coupling between the RBCs and platelets and the physics of platelet margination to the cell-free layer will be discussed. High shear flow in this region unfolds vWF from a shielded globular structure to a semi-elongated fibrillar structure with increased bond availability to exposed subendothelial collagen. Whole blood is modeled as a suspension of deformable capsules in the form of red blood cells combined with rigid oblate spheroids representing platelets. The fluid phase is simulated with the lattice-Boltzmann (LB) method, the deformation of the RBC membrane is modeled with a coarse-grained spectrin-link method, and the dynamics of particles are updated using Newtonâ€™s equations of motion with 2-way solid-liquid coupling. The nanoscale particles and proteins (e.g., vWF) are included using a Langevin Dynamics system of equations coupled with the LB machinery. 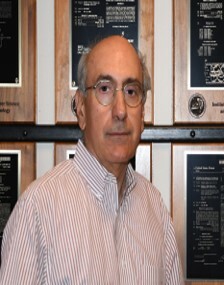 Cyrus Aidun is Professor of Fluid Mechanics at the G. W. Woodruff School of Mechanical Engineering at Georgia Tech. He is the recipient of the National Science Foundationâ€™s (NSF) Young Investigator Award, the L.E. Scriven Inaugural Award in liquid coating research, the George Olmsted Award, and the Beloit prize. He has been the program director of the Particulate and Multiphase Processes program at National Science Foundation where he served in that capacity for a 2-year term. In addition to contributions in multiphase flow and flow instability, he has pioneered the application of lattice-Boltzmann (LB) method to suspension hydrodynamics and nonlinear dynamical systems. This method, developed for solid and deformable particles and capsules suspended in fluid, are now being used by many investigators from different fields of research. The LB method has also been applied to cellular blood flow simulations including multiscale analysis of proteins and nanoscale particles in blood.